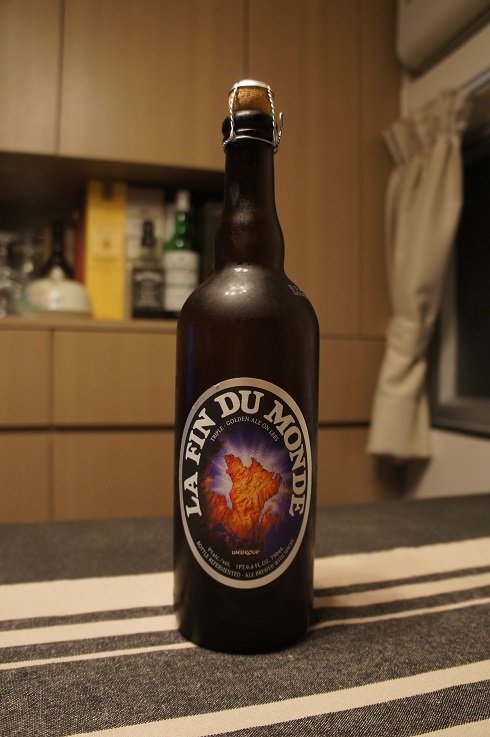 Brewer Description: (from bottle) The excellence of triple fermentation through a blend of special yeasts gives this malt beverage La Fin du Monde (The End of the World) an exquisitely robust flavour of exceptional refinement. 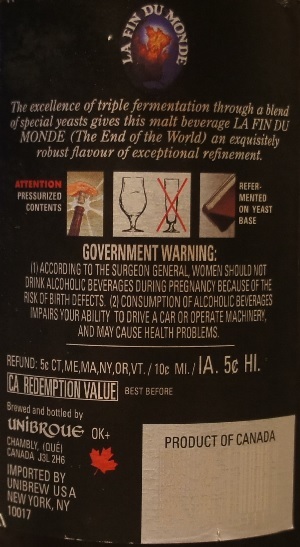 Intro: A 750ml corked and caged bottle with a best before date of 24th July 2017. 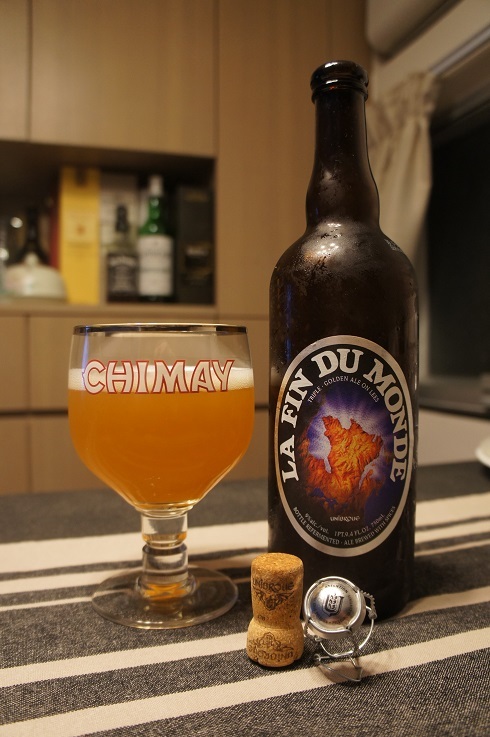 Poured into a Chimay goblet glass. Appearance: A hazy golden orange colour with a one finger white head that settled to a nice creamy layer and left nice curtain lacing. Aroma: Juicy orange and mango, biscuity malt with touches of honey and banana. Taste: Biscuity, banana, honey and orange with a hint of peach. Clove and light peppery spice on the finish. Overall: The citrusy orange was just coming on a bit too strong at times for me. Other than that, it was nice.